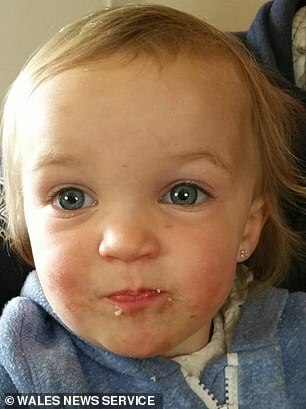 A mother made a frantic 999 call reporting her car stolen before discovering it had rolled into a river with her three-year-old daughter trapped inside, an inquest has heard. 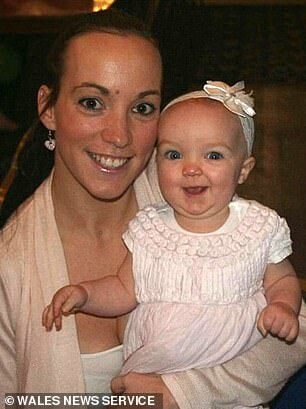 Little Kiara Moore was in her mother Kim Rowlands’s silver Mini when it ran into the River Teifi in Cardigan, west Wales in March. Ms Rowlands left the car and her daughter for just two minutes as she nipped inside nearby shop Cardigan Bay Active, an inquest heard today. 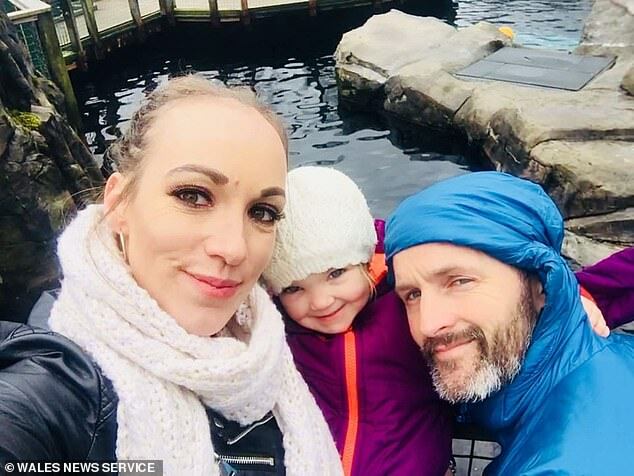 Ms Rowlands returned and initially thought the car had been stolen before police spotted it in a nearby river and Kiara, who was a week from her third birthday, was found inside. A forensic investigator told the inquest the handbrake on the Mini was not applied after police pulled it from the river. At an inquest into Kiara’s death today, Ms Rowlands told of how the car disappeared after she popped back into the family company’s office. She said: ‘I work with the company and normally go there to work in the office. Since Kiara was a baby she has been coming with me to the office. 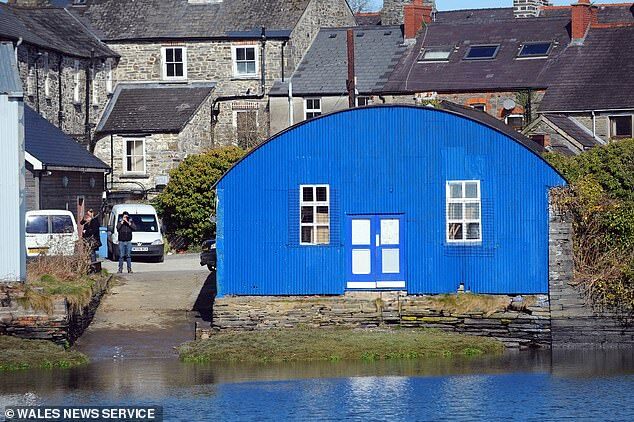 ‘On the day there was nothing unusual… I parked on the slipway. Monday was only the second day I’d been there that year. Ms Rowlands said she went to the family business with her daughter but, as they were leaving, she realised her bank card had broken. She went back in to get some money from a safe before realising the car had gone. She said: ‘I told her I would be two secs. The keys were either in the driver’s door or in the ignition. I told Kiara I would be two seconds. ‘I opened the padlock and went into the office. I could hear Kiara in the car. ‘When I left there was singing and shouting. I knelt down by the safe in the office. I got a £10 note out and shut the door. She continued: ‘I was gone for about three minutes. I went down to the river and couldn’t see anything. My next thought was that the car had been taken. I asked people if they’d seen anything. ‘I dialled 999 and told them my car had been taken with daughter inside. I looked everywhere. I phoned my mum as I was panicking. ‘We bought the car second-hand and to my knowledge there were no handbrake issues. ‘Kiara normally sits in the front passenger seat of the car. Her seat is for zero to four years. Kiara’s father Jet told how they had had the Mini for about three years and it had been regularly serviced with no problems other than normal wear and tear. He was not aware of any probs with handbrake. ‘It was often parked on a steep hill and we didnt’ have issues with it,’ he says. 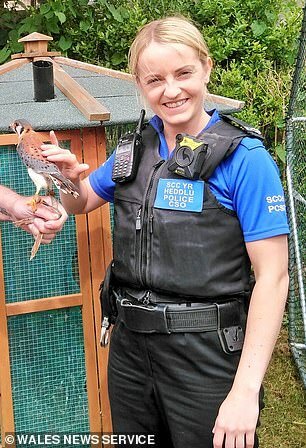 Earlier at the inquest, PCSO Caryl Griffith told how she dived into the freezing river and tried to force her way into the car, smashing a window to find the youngster’s body. Describing her arrival at the scene, PCSO Griffith said: ‘As I reached the bank I looked to the water. I could see a small bit of the car above the surface. PSCO Griffith added: ‘I put my head underwater and I could not see anything underwater. The car was fully immersed in the water and was facing towards the main bridge in Cardigan. ‘I swam towards the middle of the car and managed to climb onto the roof. ‘I went under the water by the front passenger window. The water was so cold I couldn’t keep under for very long. ‘I went down to the window and could not see inside the car. ‘I was able to put both arms inside a small opening of the window. I could not see anything. I tried the handle on the outside but could not. ‘I felt something when I put my arms through the window. I came to the surface and said that someone needed to smash the window. 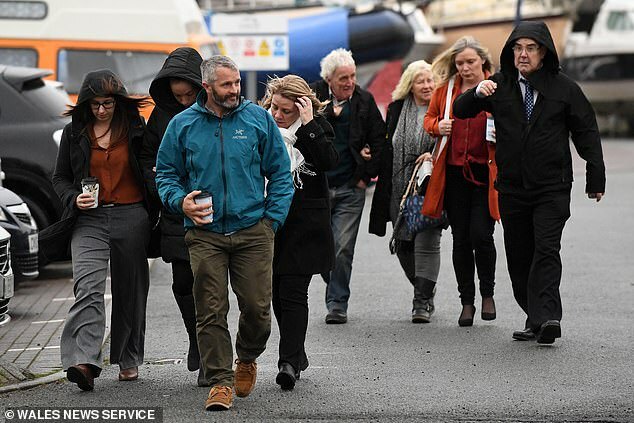 The hearing at Aberystwyth heard Kiara was flown to hospital in Cardiff but she was already dead. Her funeral was held on her third birthday.